The bust along with another of William O'Brien M.P. was ordered for the Council Chamber in June 1889. When Parnell's affair with Katherine O'Shea became public it caused a huge scandal. The Dungarvan Town Commissioners were not pleased and in early July 1891 the Borough Surveyor, Michael Beary proposed that the street name plate bearing Parnell's name be taken down. 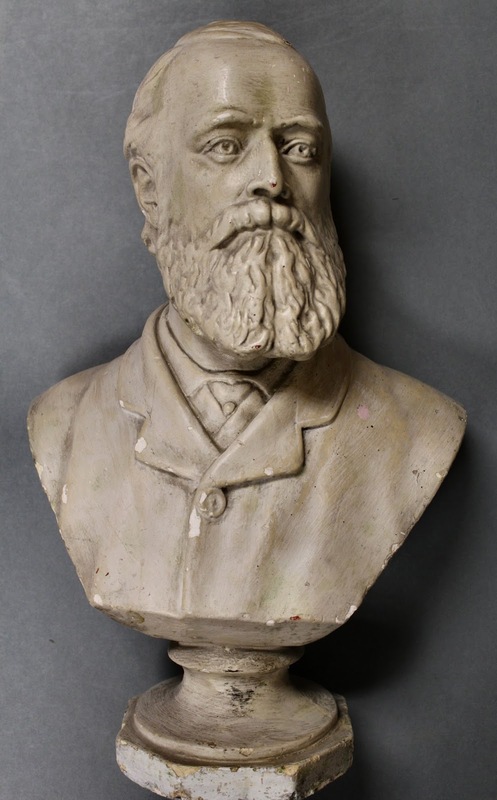 On 17th July 1891 Thomas Power proposed that this bust of Parnell be removed from the Council Chamber. The bust was put away and re-discovered in 1991 and put on display in the Museum. On the centenary of Parnell's death in 1991 the Dungarvan Town Council erected a new street name sign with Parnell's name at Lower Main Street.